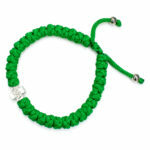 Green the color of nature. 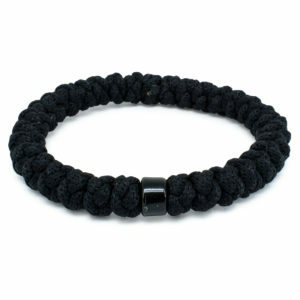 Calm and serene. 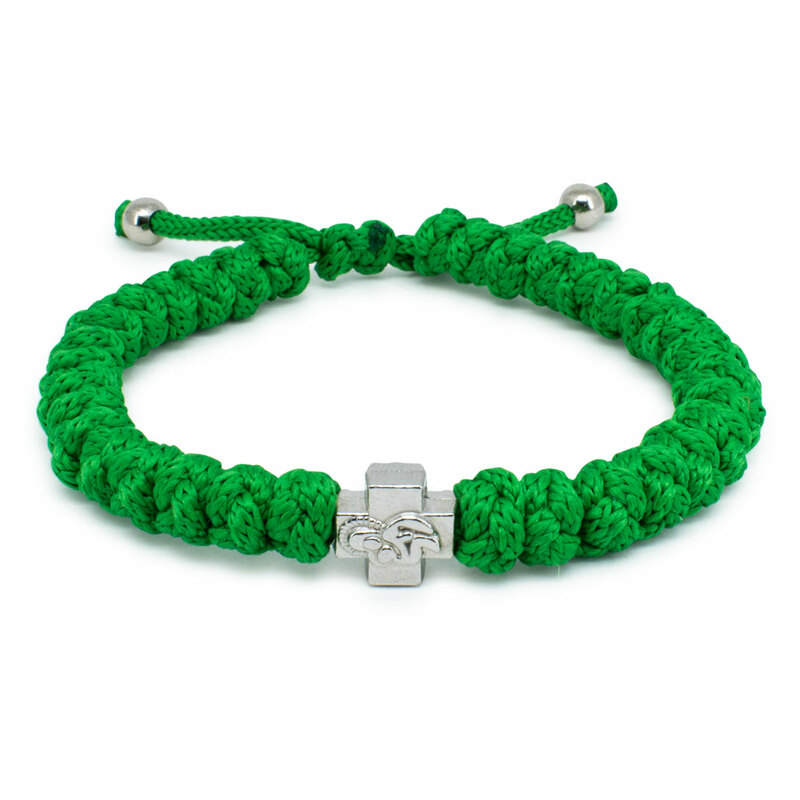 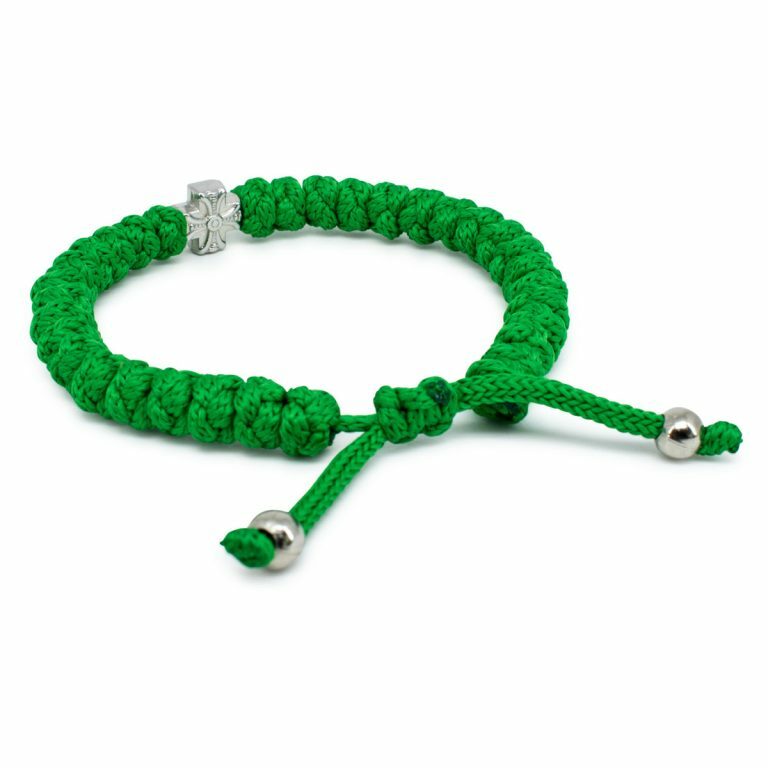 This green adjustable prayer rope bracelet is handmade and original. 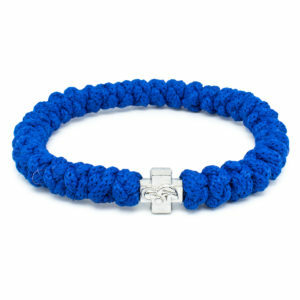 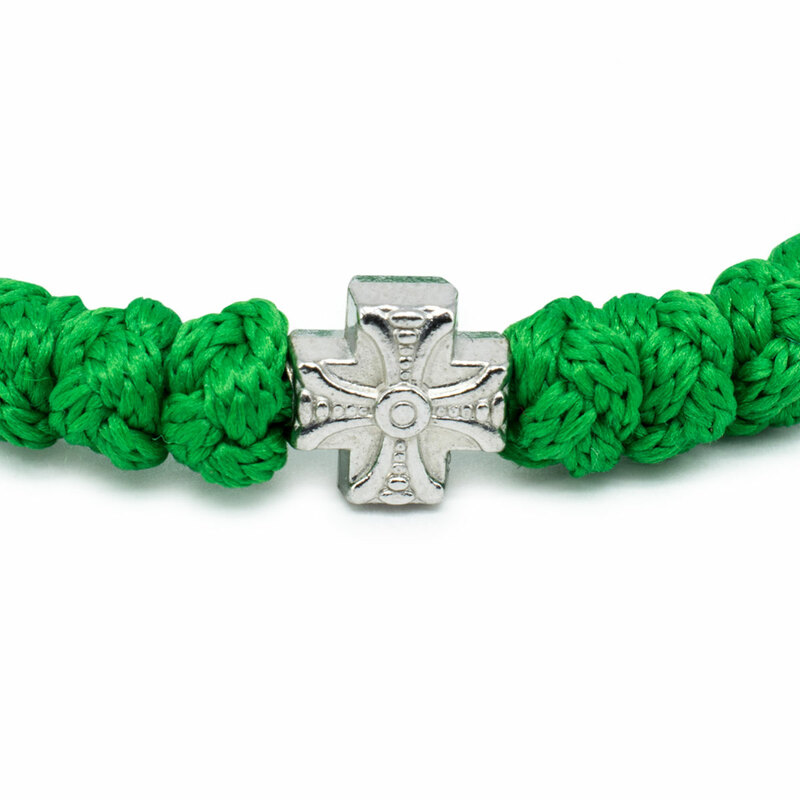 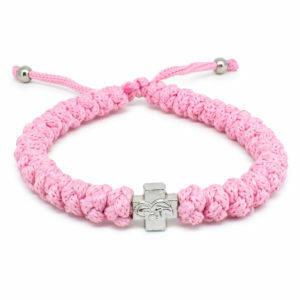 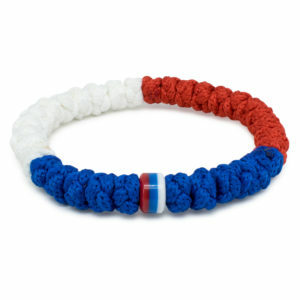 The bracelet consist of 33 knots and one cross bead with 2 sides. 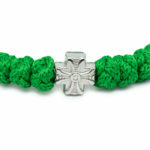 On the front a depiction of the Holy Mary and on the other side a decorative cross. 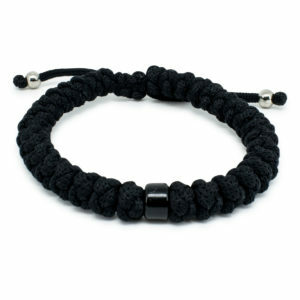 This bracelet can be adjusted in size. It has a sliding knot that makes this possible by pulling the 2 cords tighter.